Vashti Bunyan was just twenty when she was “discovered” by Andrew Loog Oldham. This wasn’t the direction Vashti envisaged her career heading when she left her London home and headed to the Ruskin School of Drawing and Fine Art, the art school at Oxford University. Alas, the dreaming spires of Oxford University weren’t for Vashti Bunyan. It was a familiar story. Vashti failed to turn up for classes and eventually, was expelled from the Ruskin School of Drawing and Fine Art. For Vashti Bunyan, this proved to be the start of a new chapter in her career. With the folk boom well underway Vashti who was just eighteen, headed to New York in 1963. This was just after Bob Dylan had just released his classic album, The Freewheelin’ Bob Dylan. In New York, Vashti discovered Bob Dylan’s music. The gateway to Bob Dylan’s music was his opus, The Freewheelin’ Bob Dylan. Having immersed herself in Bob Dylan’s music, Vashti realised what she wanted to do with the rest of her life. She wanted to be a musician. So Vashti headed home to London. It was there that she encountered Andrew Loog Oldham, The Rolling Stones’ manager. He spotted Vashti’s potential and became her manager. 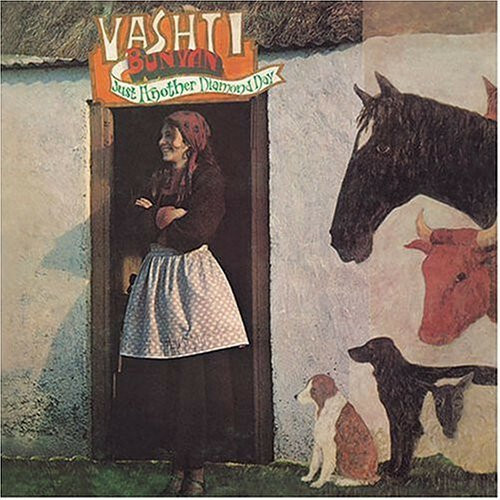 In June 1965, Vashti Bunyan released her debut single as Vashti. This was no ordinary single. It was a single penned by Mick Jagger and Keith Richards. Some Things Just Stick in Your Mind had originally been released by The Rolling Stones on 13th February 1964. Just sixteen months later, the Jagger-Richards’ penned Some Things Just Stick in Your Mind was released in June 1965 on Decca. For Vashti, this was an inauspicious debut. It failed to chart. Maybe her sophomore single would fare better? It wasn’t until May 1966, that Vashti Bunyan released her sophomore single. This was Train Song. Produced by Peter Snell, Train Song was released on Columbia. Lightning struck twice. Train Song disappeared without trace. For Vashti, her nascent musical career seemed to have stalled. For the next two years, very little was heard of Vashti. Her only appearance was on The Coldest Night of the Year, a track from Twice as Much’s sophomore album That’s All. That proved to be an ironic title, as that’s all that was heard from Vashti during that period of her career. Although Vashti records other songs for Andrew Loog Oldham’s Immediate Records during this period, they were never released. Instead, the languished in the Immediate Records’ vaults, For Vashti, this must have been disappointing and disheartening. Maybe that’s why Vashti and her then partner, Robert Lewis, decided to head off on a road trip. This was very different to Jack Kerouac’s legendary road trip in On The Road. Vashti and Robert headed off to the Hebridean Islands by horse and cart. That was where singer- songwriter Donavan, a friend of Vashti, had planned to established a commune. This trip proved to be inspirational for Vashti. During the road trip to the Hebridean Islands, Vashti wrote the songs that featured on her 1970 debut album Just Another Diamond Day. It would be produced by Joe Boyd, who Joe met at Christmas, 1968. It was through a mutual friend that Vashti and Joe Boyd met. When Joe saw the songs, he immediately offered Vashti the chance to record an album of her travelling songs for his Witchseason Productions. However, this didn’t happen immediately. A year later, in 1969, Vashti returned to London to record her debut album Just Another Diamond Day, with Joe Boyd. Vashti had no band, but this didn’t matter. An all-star folk band would join Vashti in the studio to record on Another Diamond Day. This included Dave Swarbrick and Simon Nicol from Fairport Convention. They were joined by the Incredible String Band’s Robin Williamson. The final piece of the jigsaw was string arranger, Robert Kirby. Just like Joe Boyd, Robert Kirby would go on to work with Nick Drake. Before that, they worked on Just Another Diamond Day, which was recorded at Sound Techniques Studios, in London. Just Another Diamond Day was then released in December 1970. When Just Another Diamond Day was released in December 1970, it was well received by critics. They appreciated Vashti Bunyan’s new sound. She was now a fully fledged folk singer. This suited Vashti. Just Another Diamond Day veered between pastoral, ethereal, lush, understated, rural, melancholy, cerebral and cinematic. Sadly, when Just Another Diamond Day was released, it failed commercially. Vashti took this badly. She retired from music after the commercial failure of Just Another Diamond Day. At first, Vashti stayed in one of The Incredible String Band’s Glen Row cottages. After that, Vashti moved to Ireland, and then settled in to Scotland. For the next thirty years, Vashti settled into family life. She had three children. As her children grew up, little did Vashti realise that somewhat belatedly, Just Another Diamond Day found the audience it so richly deserved. Since her retirement in 1970, gradually, Another Diamond Day found the audience it deserved. It was reappraised by a new generation of music lovers and critics. Among Just Another Diamond Day’s fans, were a new generation of musicians who had been influenced by Vashti Bunyan. They realised that Just Another Diamond Day, which was reissued in 2000, was a long-lost classic. 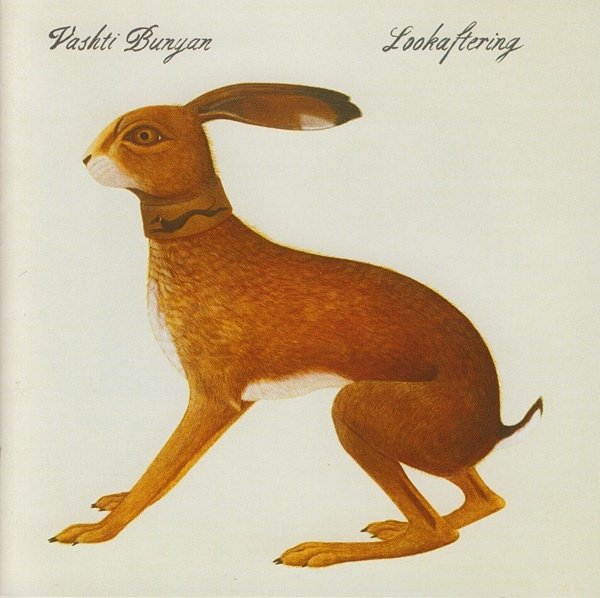 Eventually, Vashti Bunyan decided to make a welcome return to music in 2002. This started with Vashti making guest appearances on Piano Magic’s 2002 single Writers Without Homes. Two years later, Piano Magic and Vashti collaborated on the Saint Marie E.P. This was just the start of a string of guest appearances and collaborations that Vashti made. Vashti’s next collaboration was on Devendra Banhart’s 2004 album Rejoicing In The Hands. This was quite fitting as nowadays, Vashti is credited as the the Queen of Psych Folk and Devendra Banhart is one of her disciples. It was a case of two generations of psych folk singers collaborating. This wasn’t the last of Vashti’s collaborations. A year later, Vashti worked with another band who were influenced by her music. This was Animal Collective. Vashti appeared on their 2005 E.P. Prospect Hunter. However, the most important release for Vashti in 2005 was her sophomore album Lookaftering. It had been a long time coming. Thirty-five years to be precise. However, eventually, Vashti made a very welcome return to the studio. The result was her sophomore album Lookaftering. On Lookaftering, Vashti was joined by some of the artists she had influenced. This included Devendra Banhart and Joanna Newsom. A familiar face was Robert Kirby, who played such an important part in Vashti’s 1970 debut album Just Another Diamond Day. He played trumpet and French horn on Lookaftering, which was released in October 2005. Just like when Just Another Diamond Day was released December 1970, Lookaftering was released to critical acclaim. Lookaftering was released to an appreciative audience. Understated, ethereal, cerebral, beautiful and ruminative, Lookaftering was a return to form from a reflective, philosophical Vashti. Older and wiser, Vashti Bunyan had matured with age. Surely, it wouldn’t be long before Vashti released her third album? That’s proved not to be the case. Nine years have passed since Vashti released Lookaftering, Valerie released her third album Heartleap in October 2014. Heartleap features nine songs written by Vashti. She plays acoustic guitar and is accompanied by a small, talented band. This includes strings courtesy of Fiona Bruce, Ian Burdge and Gillian Cameron. Guitarists Garth Dickson and Andy Cabic are joined by Jo Mango on kalimba and dulcimer. Saxophonist Ian Wilson also plays recorder. Devendra Banhart, who featured on Lookaftering, makes a welcome return, adding backing vocals. These musicians played their part in the recording of Heartleap. When Heartleap was released, critics hailed the album as a return to form from Vashti Bunyan. Thirty-five years after turning her back on music, and twelve years since she stepped back into the limelight, the Queen of Psych Folk was back, and better than ever. Across The Water opened Heartleap, and is a mixture of ethereal beauty and melancholia. This set the scene for the pastoral beauty of Holy Smoke. Mother then features a reflective Vashti, as remembers her mother sitting playing her piano and smiling. Sadness and melancholia fill Vashti’s voice on this beautiful autobiographical song. Very different is Jellyfish, a dreamy, lysergic song. It gives way to Shell, a captivating song, where Vashti veers between storyteller and philosopher. Imagery and metaphors are omnipresent as a worldweary Vashti delivers cerebral lyrics. The Boy features moving lyrics that have a cinematic quality. So do the lyrics to Gunpowder, another reflective song, where a rueful Vashti sings of love and love lost. Blue Shed finds Vashti accompanied by a lone piano who longs to be alone. There’s a change of mood on Here, a beautiful, joyous paean, which features a whispery vocal from Vashti. Heartleap closes with the title-track, where Vashti’s breathy vocal, delivers beautiful lyrics that are akin to a stream of consciousness. This crowned Vashti Bunyan’s comeback album Heartleap, an album that could’ve and should’ve transformed her career. Heartleap was an album that oozes quality and ethereal beauty. That’s the case from the opening bars of Across The Water, to the closing notes of Heartleap. It’s best described as dreamy, melancholy, beautiful, ethereal, haunting, cerebral and wistful. Elements of ambient, folk, jazz, freak folk and psychedelia can be heard during the ten songs on Heartleap. It’s a potent and heady brew, that features thirty-four flawless minutes of music, as Vashti Bunyan showcases her considerable talents during a career defining opus. Incredibly, Heartleap is only Vashti Bunyan’s third album, despite her career beginning back in 1965. After the commercial failure of her debut 1970 debut album Just Another Diamond Day, Vashti turned her back on music. It was thirty-five years until we heard from Vashti Bunyan. She released Lookaftering in 2005. Many thought Vashti was back for good. However, since then, she flitted out of our lives for another nine years. Although she dabbled in music, she never released another album until Heartleap in 2014. Sadly, that looks like being Vashti Bunyan’s swan-song. 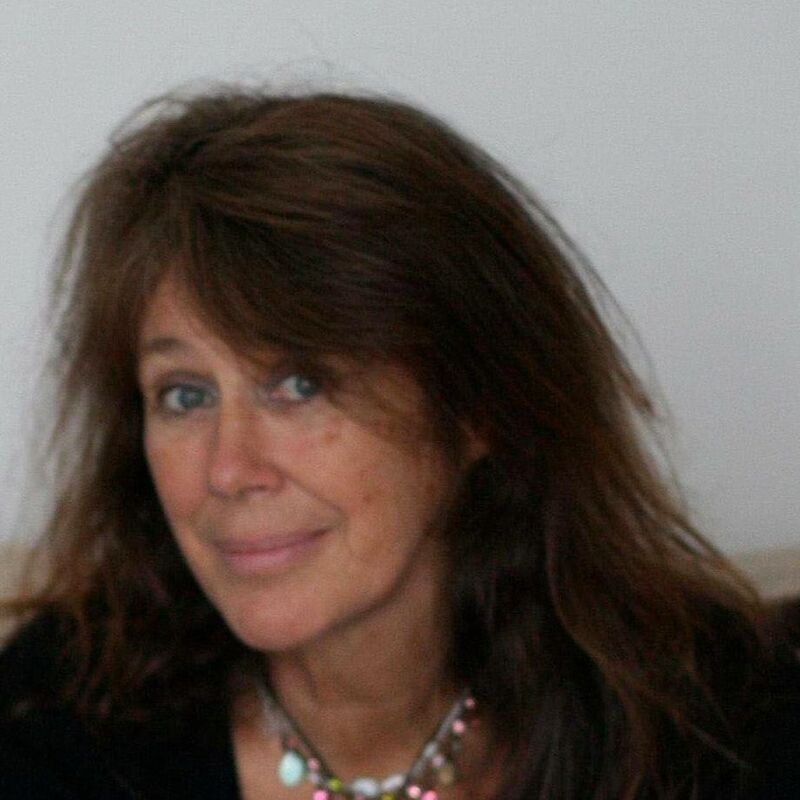 Three years after the release of Heartleap, Vashti Bunyan is now seventy-two. Her legion of loyal fans would love Vashti to return with her fourth album. However, it must be incredibly frustrating releasing albums of the quality of Just Another Diamond Day, Lookaftering and her career defining album Heartleap and watch them fail to find the audience they so richly deserve. That’s a great shame, as Vashti Bunyan has always a been hugely talented singer and songwriter. That was the case in 1970, when she released Just Another Diamond Day, an album which was ahead of the musical curve. It was only much later that the Queen of Psych Folk’s debut album was discovered by a new generation of music lovers, critics and musicians. They flew the flag for Vashti Bunyan when she released Lookaftering and Heartleap. At last, the Queen of Psych Folk was back and was still a musical pioneer. Sadly, though, outside her loyal coterie of fans, Vashti Bunyan is largely unknown. Most people are still unaware of the trio of albums Vashti released between 1970 and 2014. Just Another Diamond Day, Lookaftering and Heartleap are best described as true hidden gems, that have yet to be discovered by the wider record buying public. Maybe, one day soon, a much wider audience will discover the musical delights of Vashti Bunyan, and no longer will the Queen of Psych Folk be referred to as one of music’s best kept secrets? Vashti Bunyan- The Queen Of Psych Folk. ← DJ MARKY-INFLUENCES VOL 2.